The PDP rules are established to maximize learning outcomes, ensure fairness to all participating students, and provide sufficient flexibility for rigorous innovation. 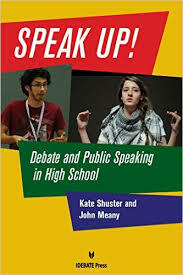 The rules were created after independent and comprehensive reviews of age-appropriate educational literatures regarding best practices for public speaking, argumentation, critical listening and thinking, and debate; program assessment by graduate education faculty and primary/secondary school administrators and teachers; performance evaluation by debate experts; and year-long testing in a school environment. This was followed by a one-year pilot program with a set of middle schools for assessment of league operations and interscholastic debating. The rules treat all participants as equal; they reward students for serious effort and accomplishment. Rules, including rubrics, are designed to produce relatively unbiased and consistent decisions and scores, while acknowledging the subjective nature of human communication and presentation evaluation. The MSPDP conducts periodic evaluations of student learning and interscholastic operations. Rules are changed, if necessary, based on those evaluations. The evaluations include updated educational literature review; graduate faculty, school administrator/teacher, and debate expert assessment; and student performance outcomes from scores of test debates. Each PDP debate has 2 teams – proposition and opposition. Each PDP team has 3 speakers. If for some reason (illness during a tournament, for example), a team is unable to continue with 3 speakers, the team may proceed with 2 debaters. In that case, the team member who speaks first also delivers the third speech, the rebuttal speech. A speaker on a 2-person team is not permitted to deliver both constructive speeches (the first two speeches for a side in a debate). Schools may not regularly register 2-person teams for competitions. The official number of debaters on a team is 3. At league and invitational tournaments, a 2-person team may not be eligible for awards. The league president, in consultation with coaches and the tab director, will determine if 2-person teams may compete for awards. At the overwhelming majority of events, 2-person teams are declared eligible for awards. At the MSPDP regional/national championship tournament(s), 2-person teams may not register for the event and are not eligible for awards, except in an extraordinary emergency situation. Speakers make their presentations in the following order. The speaking time is the maximum for each speech. The MSPDP added 1-minute to rebuttal speeches, allowing students to speak for 4 minutes rather than 3 minutes, in 2013. There is no preparation time period during a debate. A judge will thank a student for a speech and immediately recognize the next speaker (e.g., after the first proposition speech of the debate, “Thank you. I now recognize the first speaker for the opposition team.” At that verbal signal, the opening speaker for the opposition would rise and move to the center of the room or the podium to deliver the first speech for the opposition team). ALL speaking is included in the debater’s speaking time. If a student starts talking, the judge or designated timekeeper MUST start the speaker’s time. It does not matter if the speaker is delivering a ‘roadmap’ (“I will begin with new material and then move to the case’s three contentions in reverse order…”) or another preamble (“Are my teammates ready? Opponents ready? Judge ready? My time starts now!”) This verbal material must be timed by the judge. In addition, there is no ‘grace period’ at the conclusion of a speech. A judge MUST stop taking notes when time ends at the 5-minute or 4-minute mark. Students do not receive credit for any material entered into the debate after their speaking time has concluded. Of course, a students may elegantly end a speech (and this might take a few extra seconds beyond the official end time). But judges may not record or include this additional material in a debate deliberation and outcome. Before each debate, teams are assigned a side (proposition or opposition), an opponent, a judge, and a location for a debate. This information is included in a “pairing sheet” and posted in several locations in a large gathering area, usually a media center, cafeteria, auditorium, or gym. Some debate tournaments display the pairing information on a projector screen. For example, in the second debate of a tournament competition, if a student is a member of team WQL from the Winn Middle School (“Winn WQL”), she should recognize that she would be debating on the proposition side against team Murray YZG (opposition team). The debate will take place in Room 106 and the judge will be Mrs. Eepsie (a judge representing Clark Middle School). Students have about 5 minutes to read pairing sheets. A debate topic is then announced to the audience. Students have 20 minutes of preparation time from the announcement of the topic to the start of the debate. Students must be in their classroom and ready to debate at the 20 minute mark. They do not have 20 minutes and additional time to get to a room for their debate. If students are more than 2 minutes late to a debate (22 minutes after the topic announcement), they should lose the debate by forfeit. A tournament administrator, rather than a judge, may make a decision to permit a late-arriving team to participate in a debate. Students must transcribe or re-transcribe all notes and other prepared materials to colored paper (provided by the tournament host) during preparation time. No material written or typed in advance of the preparation time period may be used or reviewed during a competitive debate. Use of electronic equipment: If a student has an accommodation under the Americans with Disabilities Act (ADA), the student may use a computer or other device during preparation time. Other students may use electronic equipment during preparation time in the same manner that they would use paper. In other words, a student may not use an electronic device to access the internet, conduct advanced research or searches. A student may scroll through material and transcribe the electronic notes to colored paper for debates. Students may speak with other students, coaches, and volunteers designated by their coaches during the preparation time period. No one, a debater or anyone assisting a debater, may access the internet during preparation time. Students may use an electronic device (e.g., an iPad) but only as a substitute for paper. An electronic device may not be used to more rapidly search for files, access an argument database, or find material on the internet. Violations of preparation time rules is a serious rules violation and may result in forfeiting a debate. A Point of Information, also known as a POI, is an interjection by a speaker’s opponent to make a comment or ask a question. It is a request of a member of one team to a speaker holding the floor to yield time. If approved by the speaker, an opponent has up to 15 seconds to deliver the POI. Because the speaker yields time for a POI, the speaker’s time continues to run during a POI. A Point of Information is the ONLY approved parliamentary point in the PDP format. There is no Point of Clarification, Point of Order, Point of Inquiry, Point of Personal Privilege, etc. POIs are directed to members of the opposing team. They may not be directed to teammates. POIs are permitted during constructive speeches – the first 4 speeches of the debate (the speeches with longer speaking times; the speeches delivered by the first and second speakers of each team). They are not permitted in rebuttal speeches. POIs are permitted after the first minute and before the last minute of constructive speeches. The opening and closing minute of each constructive speech are ‘protected time’ for the speaker – no POIs. Students may make a non-verbal or verbal request for a Point of information. A standing student or a standing student with an arm extended is considered to be making a request of the speaker holding the floor for a Point of information. Nothing needs to be said by the student requesting the point. A student may make a verbal application for a Point of information by standing and saying “Information.” The verbal request may only be made once; the speaker may not use any other than that single approved word to request a Point of information (e.g., the person requesting a Point of information may not say “Point of Information,” “Clarification, sir,” “On that point, ma’am” or any other language). A POI may be a statement, e.g., an argument directed to the judge. A POI may also be a question. POIs do not need to be in the form of a question. An argument made as a Point of Information ought to have the same consideration as any argument entered in the debate. More than one person on a team can request a POI at the same time. A speaker will only recognize one of them if accepting a POI. The maximum amount of time to make a POI that is approved by a speaker is 15 seconds. A speaker may accept or reject a POI. Debaters must accept a POI during a speech (for success in the performance rubric) but there is no required number of POIs that a speaker must take. If rejecting a POI, a speaker may use a gesture to wave down speakers attempting a POI – no verbal reply is required. This is not considered impolite – it is an acceptable part of the format. If more than one debater attempts a POI and the speaker makes a gesture to wave down the opposing side or says, “No, thank you,” all opposing speakers must sit. For a rejected POI, opposing team speakers must sit for a reasonable time (approximately 154 seconds or more) before rising again for a POI. Argumentative Heckling is an interruption of a speaker by one or more members of the opposing team. Heckles may be presented at any time in the debate. They are 1-2 words (or, perhaps, 3 brief ones) in length and never 4 or more. Argumentative heckles are for the benefit of the judge and add value to the debate in a substantive way (they support or make arguments). Only argumentative heckling of this sort is permitted; disruptive heckling is not permitted in the format. Some heckling is positive. Applause for speakers at the beginning and conclusion of each speech is an example. Teammates may also applaud a member of their team during the member’s speech by rapping on a tabletop or desk; this is conventional applause. Teammates may also call out “Hear, Hear!” in support of an effective argument. Debaters must allow speakers to make a full argument before heckling to insist on more information or critique a speaker. For example, some students heckle by requesting that a speaker add evidence or source material to complete an argument. These heckles include “Source!”, “Evidence!”, and “For Example?”…Responsible hecklers wait for the speaker to complete an argument and consider if properly sourced evidence is included in a speech BEFORE making these heckles. A debater unfamiliar with appropriate heckling might heckle a request for evidence without allowing a speaker the time to complete an argument and present evidence. That is non-argumentative and not permitted. Speakers are not permitted to present new arguments in the rebuttal speeches (the third and final speeches for each side) of the debate. A new argument, by definition, is one without a foundation in the constructive speeches. Students may continue lines of argument from the constructive speeches to the rebuttal speeches and add more analysis, evidence, and evaluation (these additions must not make an entirely new argument). They simply may not introduce entirely new positions at the latter stages of the debate. A judge does not penalize students for presenting new arguments. A judge simply disregards new arguments when evaluating the outcome of a debate. All judges must complete Public Debate Program judge certification to be eligible to judge at a tournament. Judges may not change any of the Public Debate Program rules for competition (e.g., a judge may not decide that argumentative heckling is unacceptable and tell students not to heckle in a debate). A judge must take careful notes for a debate. The judge makes 2 decisions about outcome. A judge decides the side that wins the debate. If the proposition teams proves its case is more likely to be true than false, it should win the debate. If the opposition proves the case is more likely to be false than true, the opposition wins the debate. This is determined by the balance of arguments – it may be that one argument alone is sufficient to prove or disprove the entirety of a case or an opponent’s position in a debate. It may be that a combination of arguments is required to prove that a team’s stance in a debate is more likely to be true/false. In addition, a judge ranks individual student performances based on an educational standards- and communication skills-based rubric. Rubrics are available online, in judge training documents, and at competitions. The judge considers public speaking, argumentation, refutation, and other factors in the assigning individual scores. After careful and private deliberation (judges may not request any help from any other party to make a decision), the judge will complete a ballot, a record of the win/loss issue and individual speaker scores. There is additional space for a judge to write comments to explain the outcome and help students improve. This is also required. Judges are required to announce the win/loss decision to the students, announce their individual speaker scores, and give constructive feedback to students. Observers may not verbally heckle students or disrupt a debate. They may politely applaud for debaters at the beginning and end of each speech but they must do so for all speakers I the debate. Observers may not speak to judges or have any other contact with judges about their debate decisions. If an observer has any comment about a judge, that person may speak the coach of their school. Are students required to speak for their full speaking time? The length of a speech is its maximum time. A student may use any amount of time in a speech. If a student does not use the full amount of available speaking time and does not address important issues in the debate, that is an ineffective speech. If, however, a student manages to present brilliant argumentation and overwhelms the opposing side in 3 minutes of speaking time instead of a full 5 minutes, that is an outstanding speech. The latter speaker can sit and expect individual speaker points matching an exceptional performance. If students are debating as a 2-person team (an infrequent exception), may a student deliver both constructive speeches? No. On a 2-person team, both debaters deliver a constructive speech and one of them presents the rebuttal speech. Are teams required to present burdens of proof for the respective sides in a debate? Some debaters will identify “burdens” for their team (“We have to prove x to win the debate”). Some will identify burdens for the other team (“In order to win the debate, our opponent will have to prove Y”). This is not required. In addition, the fact that it might be stated by one team in the debate does not make it relevant or meaningful for the other team in the debate. If a proposition team’s opening speaker on a topic regarding abolition of the death penalty states: “The opposition team must show that the use of the death penalty is moral in all circumstances,” that does not oblige the opposition to meet that burden. The opposition might argue that the burden is irrelevant to the ultimate evaluation of the death penalty and that the opposition will offer acceptable justifications for keeping the death penalty on entirely other grounds. Can the proposition team ‘limit’ the topic or narrow the debate? Yes. In fact, it is inevitable that the proposition team must limit the topic. After all, topics may be too broad for a sensible and focused discussion with 5-minute speeches. When limiting the topic, the proposition team should be mindful that the limitation ought to be a reasonable one. The proposition cannot place a limit on the topic that is so severe that it is not possible to have a coherent debate. For example, on the topic, Television is a bad influence, the opening speaker cannot make a case that television is a bad influence on the proposition team alone and on no one else. There is no way for the opposition team to disprove that proposition case – there is no basis for reasonable debate. But it is not reasonable to presume that the proposition side of that debate must argue that all television in all locations for all time is a bad influence. It would be acceptable for proposition teams to argue any of several limits on the topic, e.g., Television, meaning contemporary entertainment and news programming in the US, is a bad influence, meaning that it has more negative social, economic, and/or educational outcomes than positive ones. That would be a reasonable limitation on the topic and a valid basis for debate. Please review the most recent PDP textbook – Speak Up! Debate and Public Speaking in High School. This is a primary text for the HSPDP and a second edition for the MSPDP. There are only 2 differences in the format: (1) HSPDP speeches are 6/5 minutes and MSPDP speeches are 5/4 minutes; the HSPDP includes pre-announced and impromptu topics (the latter on current events and enduring ethical controversies and all MSPDP topics are pre-announced (approximately 3-5 weeks prior to a competition). There is a comprehensive description of the rules in the textbook. Please contact John Meany, john.meany@cmc.edu or Kate Shuster, kate.shuster@gmail.com for official clarification. The official rules are the only rules accepted for MSPDP regional and national championship tournaments.